Georgia’s President Mikhail Saakashvili has moved to his countryside residence because the one in Tbilisi is surrounded by opposition activists, reports Georgian media. Only a few staff members of the president’s administration, police and SWAT teams remain in the presidential residence in Tbilisi, while the president stays overnight in his ‘Shavnabada’ residence, several kilometers outside the city. Activists warn they will hold rallies regardless of wherever the president stays. 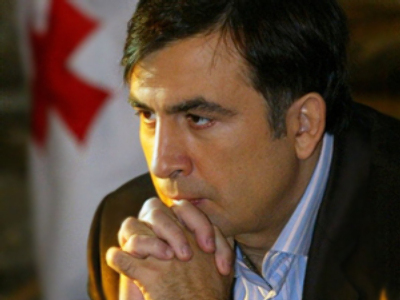 “We received the information that Saakashvili has tried to settle down in the Shavnabada residence. 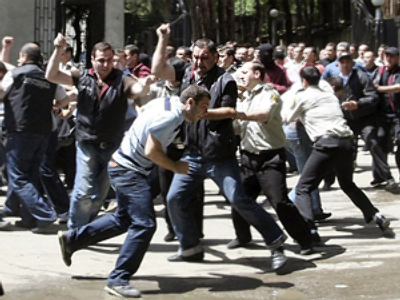 And until we come there, we demand he signs his resignation,” said Kakha Kukava, one of opposition leaders. 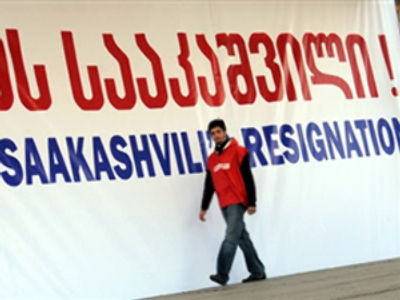 On Wednesday activists put a huge banner with the text: ‘A statement from Mikhail Saakashvili to Georgian nation – I leave the post of the president’ onto the fence of the presidential residence in Tbilisi and hanged a pen near the poster for Saakashvili to sign with. “We must sit down at the negotiating table in order to solve the problems of our nation together,” said the President, while meeting with the public in Georgia’s southern city of Akhaltsikhe. “We need unity to confront all foreign and internal threats,” he added. On Wednesday the opposition, as promised, announced a new venue for the rallies. 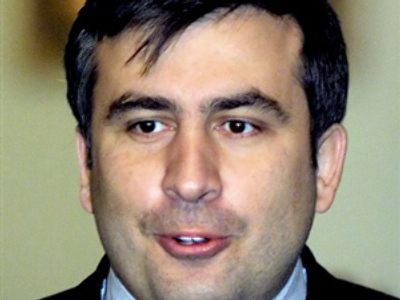 The three current zones for the rallies are the Public Television building, the Parliament building and Saakashvili’s city residence. The fourth zone for 24-hour mass protests is the building of Georgia’s Stationery Office. The offices of the Prime Minister, state ministers are all located in this building. The government also has its meetings here. Thousands of opposition activists are taking part in anti-government rallies which started on April 9.